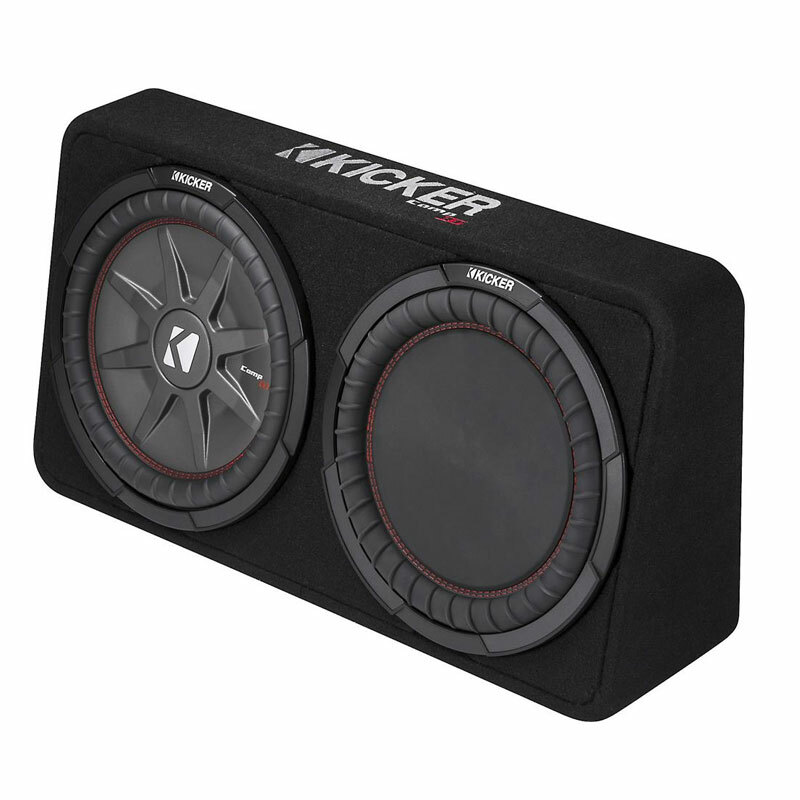 Whether it’s behind the back bench of your pickup, under a seat or in the trunk, the CompRT sub box is a perfect fit. One amplifier connection later – you’re boomin! 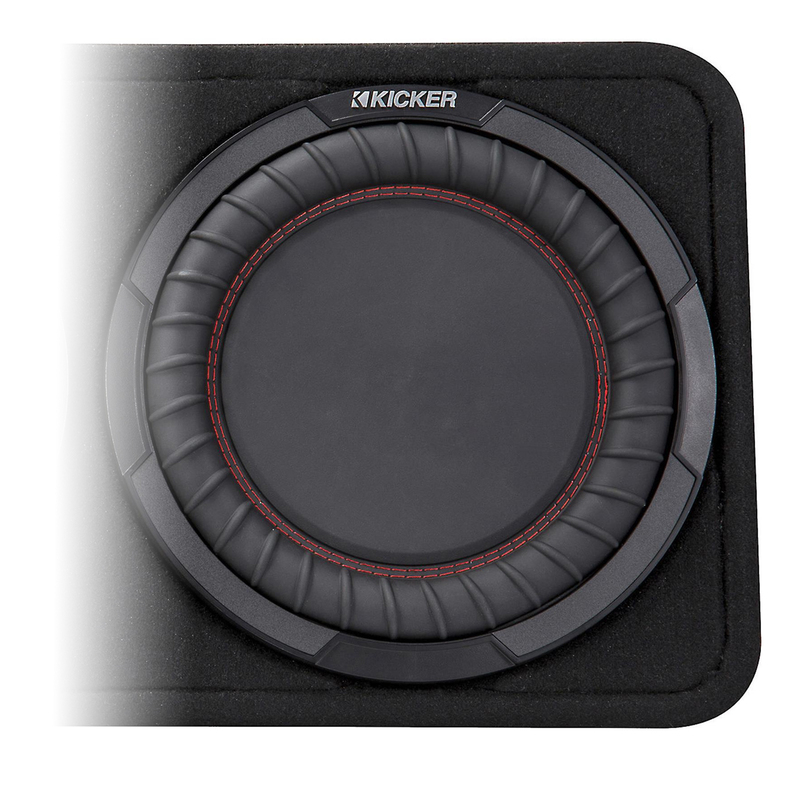 Kicker's engineers have added a Reflex Subwoofer to their CompRT loaded enclosures, giving you even deeper, smoother bass in an incredibly thin box. 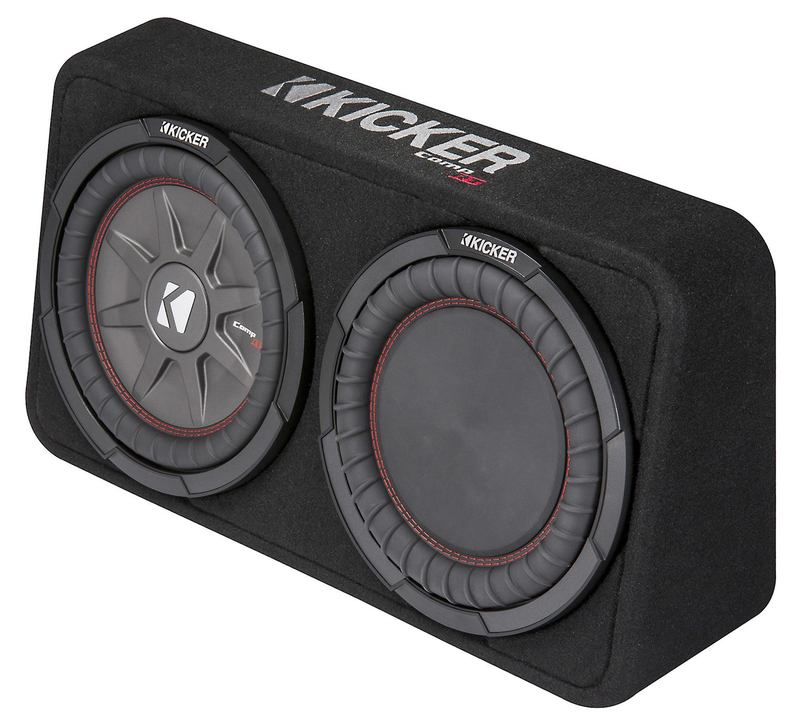 Kicker build their boxes as tough as Oklahoma. 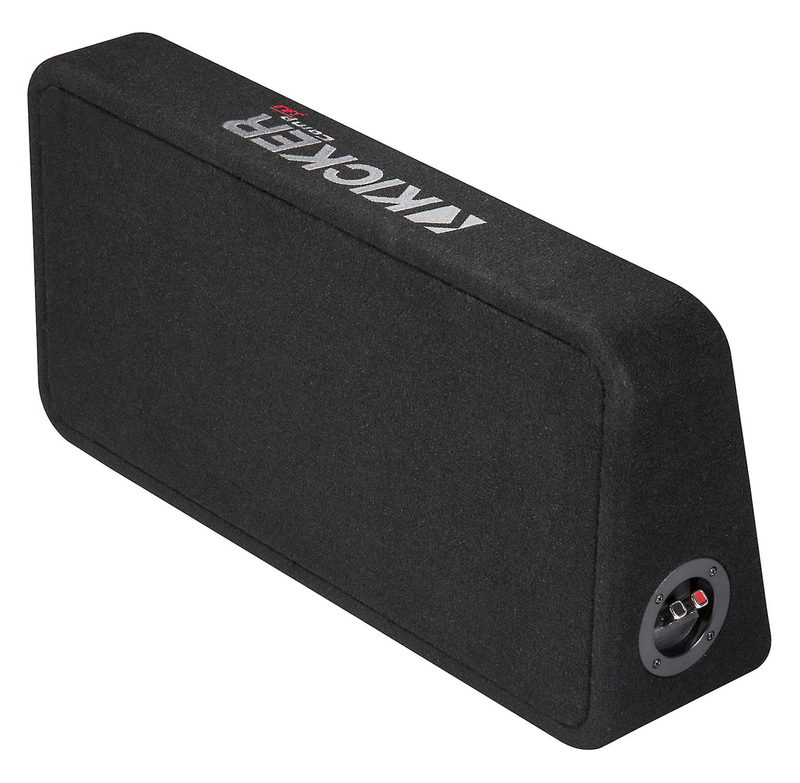 A thick black carpet covers a box made with thick wood and internal bracing for excellent durability.